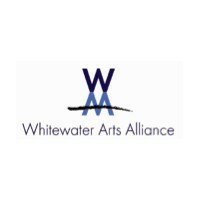 This Agreement is entered into on Date, between Valerie Vittu, hereinafter referred to as the "Grantee", located at Grantee Address, and Artist Name, hereinafter referred to as the "Artist", located at Artist Address. 2) This grant permits the Grantee the exclusive right to manufacture, distribute, and sell the merchandise. Further, the artist grants to the Grantee the right to reproduce the image on the Grantee's website and all other Grantee promotional materials. 3) The term of this contract is for Contract Term, commencing upon both parties signing this contract. 4) During the term of the contract, the Artist agrees that he/she will not make or sell or distribute forms of the image that is the subject of this contract. 5) The Artist shall retain all copyrights in and to the image. The Grantee shall identify the Artist as the creator of the image on the licensed products and shall reproduce thereon, a copyright notice for the Artist which shall include the word "Copyright" or the symbol for copyright "©", the Artist's name, and the date and year of the first publication. 6) The artist understands that all profits from the sale of the Artist's merchandise will benefit the Grantee. 7) The Grantee shall give to the Artist, at no cost to the Artist, Licensed Products Grantee Will Give to Artistof the licensed products, for the Artist's personal use. 8) The Artist shall have the right to approve of the quality of the reproduction of the image on the licensed products and the Artist agrees not to withhold approval unreasonably. 9) The Grantee will sell the licensed products in 47 N. 3rd Street Philadelphia, PA 19106; however, the Grantee will not be the Artist's agent or promoter. 10) The Artist shall indemnify and hold the Grantee harmless from and against any loss, expense or damage occasioned by any claim, demand, suit or recovery against the Grantee, arising out of any alleged use of the image which violates or breaches a third party's property rights. 11) Neither party shall assign rights or obligations under this agreement. 12) Nothing herein shall be construed to create a joint venture between the parties, nor shall any similar relationship be deemed to exist between them. 13) This agreement shall be construed in accordance with the laws of the State of Pennsylvania , except for copyright law, which shall be interpreted in accordance with national and international copyright law. 14) This agreement constitutes the entire agreement between the parties hereto and shall not be modified, amended or changed in any way except upon a written agreement signed by both parties.